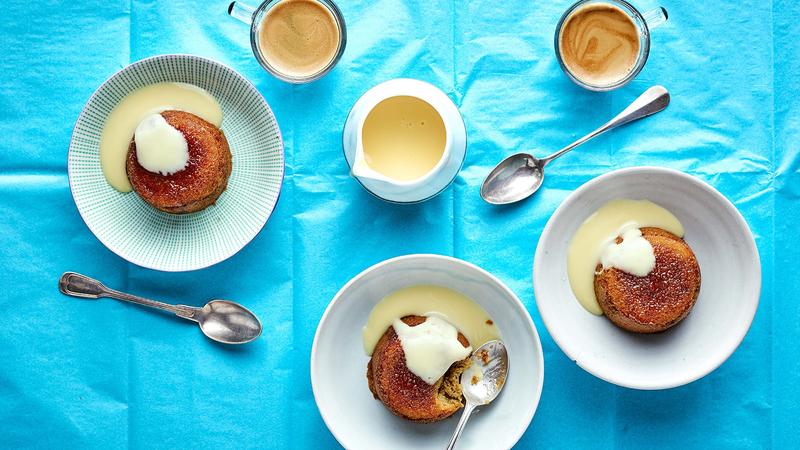 If you’re looking for a special treat for Mother’s Day, discover this delicious, low-calorie sticky toffee pudding recipe from the Pinch of Nom cookbook. Preheat the oven to l90°C (fan 170°C/gas mark 5) and spray four ovenproof ramekins with low-calorie cooking spray. Put all of the ingredients in a large mixing bowl (except the golden syrup) and whisk with an electric hand whisk until fully combined, light and airy. Distribute the golden syrup evenly between each ramekin. Top with the cake mixture and bake in the oven for 20 minutes until just cooked through. Remove from the oven and leave to cool slightly in the ramekins,then turn out into serving dishes. Serve with your choice of accompaniment. Full of delicious, low-calorie recipes which will inspire everyone from novices to experienced home cooks, the Pinch of Nom cookbook shows that dieting should never be a barrier to good food.